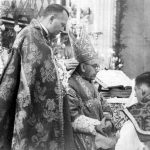 Benedictines from Krzeszów – I komu to przeszkadzało? 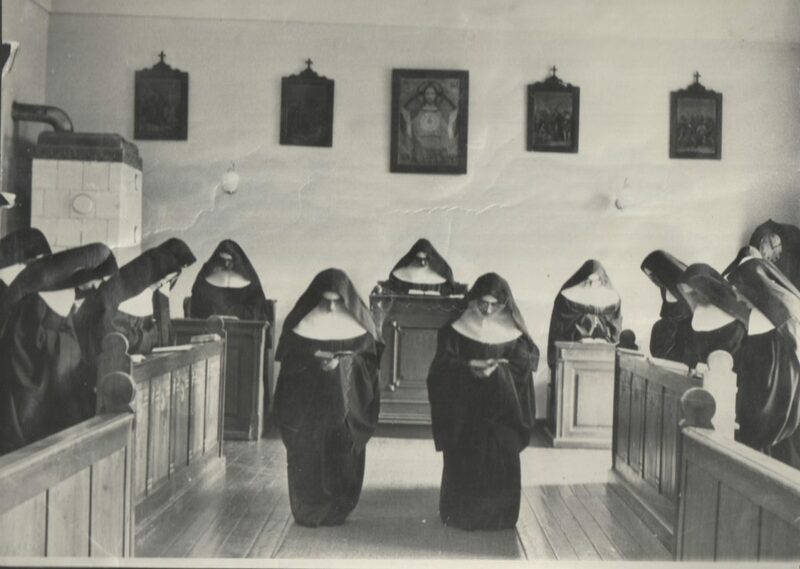 Nuns from the Benedictine convent in Krzeszów during a choir prayer in the monastery chapel. 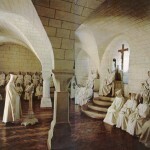 In the centre, on a platform, you may see the mother abbess. Although the Krzeszów convent was founded as a 13th-century foundation for the Benedictines, it was, for the major part of its existence, associated with the Cistercians who had settled there until the dissolution of the order in 1810. After the First World War, the monastery was settled again by the Benedictines from Czech, but the next World War brought another change: Polish sisters displaced from Lwów came to Krzeszów to replace the German monks.